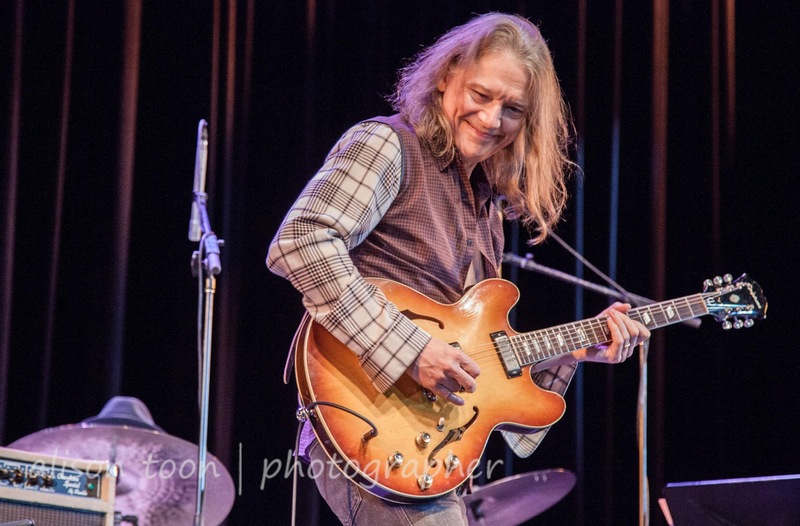 Having heard a little, but not a lot, of Robben Ford'a music over the years, and never having had the chance to see him live, I was looking forwards to the show at Sacramento City College's Performing Arts Center. It was also an opportunity to check out a new venue: more and more of the region's colleges are opening up their Arts centers to public shows. Dr. John performed here a couple of weeks ago: I missed it as the Wailers were in town. This show was organized by SBL Entertainment who are doing a good job bringing new, and old, favourites to Sacramento and Northern California. I went to the show with some preconceptions: I was expecting guitar virtuoso, Vai-esque, but more bluesy. And I somehow expected the audience to be like Steve Vai's: some oldsters like me, but with lots and lots of young guitar enthusiasts. That preconception was blown away immediately: Robben's audience was way more mature; young people were the exception rather than the rule. Definitely a jazz crowd, rather than rock-and-roll. 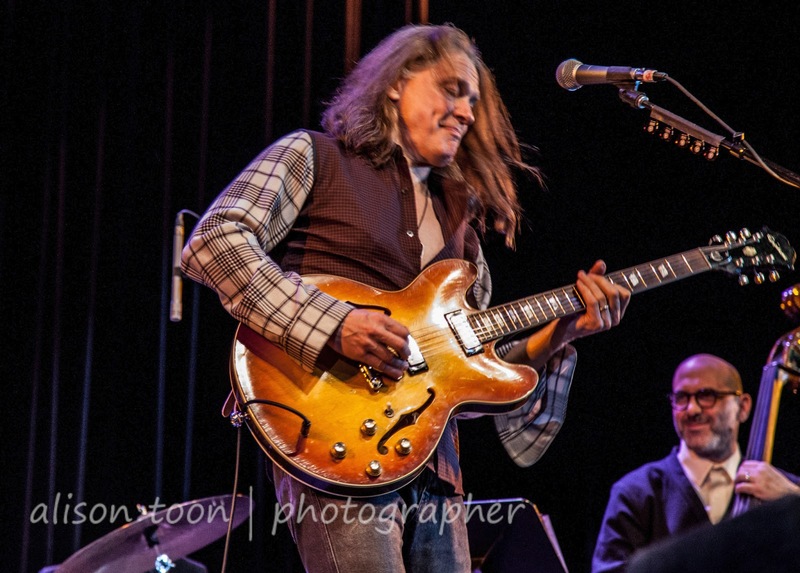 Robben comes across as shy, gentle... and when he goes off on that guitar, boy does he rock. But that wasn't all the show was about: his new album, released this week, "Bringing it Back Home", includes Hammond organ, upright bass, drums and... trombone? Yes, trombone! So it's blues and it's Dixie and it's more blues and it's New Orleans jazz, all stirred into a mix until you can't separate the jazz from the blues. Part way through the show, "Louisiana Blues, New Orleans Blues?" was threading through my thoughts, and that's how it felt: like a New Orleans jazz band playing the blues. With some rockin' guitar thrown in now and again. "Fool's Paradise", also from the new album, is pure, smooth, jazz... it's quite beautiful, and the song that you expect to be playing on the radio at 2.30 in the morning. While there were moments of sheer guitar genius, there were long, intricate and rather-amazing trombone, drum and Hammond organ solos. 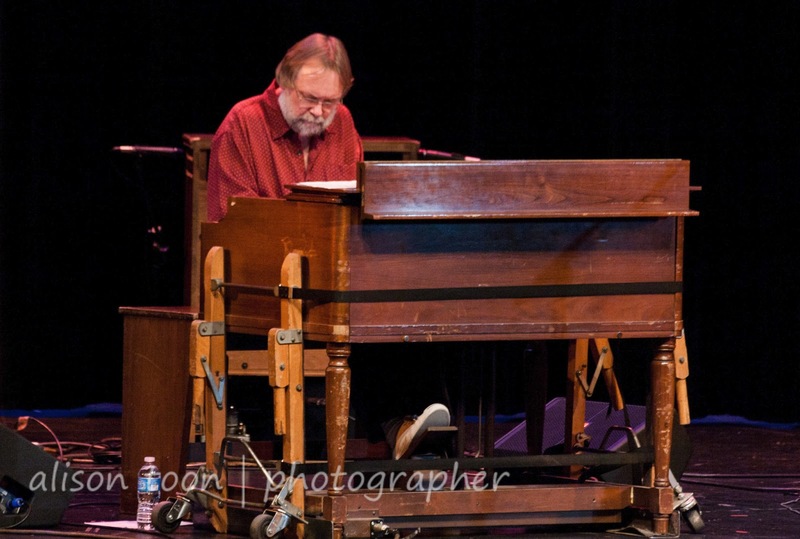 I never, ever, EVER thought I'd say, "I really enjoyed the Hammond organ solo", but... I really enjoyed the Hammond organ solo! Trombone, too. All of them. My favourite of the evening, however, was from an earlier album: "Nothing to Nobody", from the 1999 album, "Supernatural". I was really, really expecting more of the guitar virtuoso... but maybe I've seen too-many Vai shows!